Ubuntu Names Their Desktop After Us? I was quite surprised this morning whilst reading my RSS feeds to discover that Ubuntu has named their most recent ‘lite desktop‘ Unity. Surprised because we have our project, Unity Linux. Strange that both our ‘lightweight distribution and desktop’ and Ubuntu’s ‘lite desktop’ should share a name together. While I’m not really sure why no one threw up a stop to this in the Canonical brainstorming session that produced ‘Ubuntu Unity’ one can only have a laugh about this and hope we don’t get our pants sued off even though we named our distro first. If things do get hairy, I’m sure we can change our name to ‘Unity Ubuntu’ or something similar to properly confuse everyone. Author devnetPosted on 10 May, 2010 Categories Distros, HumorTags desktop, distro, linux, names, ubuntu, unity, unity linux17 Comments on Ubuntu Names Their Desktop After Us? I ran across the flash video above (note: I’m not taking content and embedding it here…you’ll need to click on the image to be taken to the author’s site) a while back and have never posted a link to it. It’s pretty funny and if you look around on ubergeek’s site, you’ll find a couple of other interesting things like the awesome flash game “Penguin Blood Ninja Fiasco” which I think is just genius. So give this a look-see…you won’t be sorry. Guaranteed to brighten even the darkest open source supporter’s day. Author devnetPosted on 19 February, 2010 Categories HumorTags flash, funny, Humor, linux, open source5 Comments on Do you…uh…Use Linux? Let’s bust some myths today because a majority of KDE 4 haters out there have the same reasons for hating it. I’m pretty sick of seeing posts and news articles about “why I don’t like KDE 4” and then seeing that the real reason the person is upset is because they don’t spend an extra few moments trying to figure things out…aka lazy and ignorant. 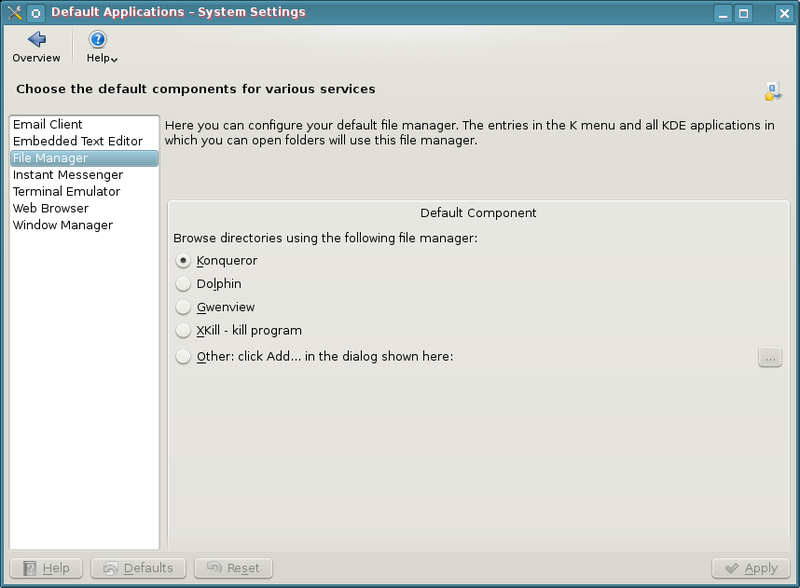 KDE 4 was NOT feature complete when it came out in the 4.0 version. It IS feature complete (in my opinion) with the 4.2 and 4.3 versions. I sure hope this solves many peoples beef with KDE 4 right out of the gate because this is one of the reasons I find all over the web. I really think the problem is the lethargic attitude that prevails from die hard KDE 3 fans. Honestly guys, give Dolphin a try…it’s really a pretty decent file manager and is light years ahead of any other DE file manager. Wrong. Right click on the desktop and choose “Desktop Settings”. Select the drop down menu “Type” and select “Folder View”. Your desktop now has folders, icons, and all other such things that you may want to clutter it with. If you want to switch back to NOT using the folders and instead use widgets…right click on the desktop and choose “Folder View Settings” >> Select Type >> Desktop. To top it off, if you select “Folder View”, the folders and icons act exactly like you would expect them to in KDE 3. Not only can you select to show your desktop folders…but you can even show a folder like /home as your default desktop…show any folder you have access to, it’s up to you. Yay right? I give it a golf clap. Let’s continue thinking out of the box and bust a few more myths. Ignorant Reason #3 – I Can’t Move My Panel to the Top, Right, or Left. Wrong. Click the settings icon on the right hand side of your panel (it looks like a comma on the far right side of the panel). The settings area pops open. On that bar is something called “Screen Edge”. Now, it seems pretty self explanatory that when you hover over the top of it, it gives you the 4 arrow icon that means you can drag and drop the panel wherever you want to…and being named “screen edge” seems to imply “which screen edge…left, right, bottom, or top…do I want this thing to appear on”. Then again, I can see how screen edge can confuse people when you open the settings of a panel that resides on the screen edge. Ok, maybe I can’t. Well, at least you know you can move your panel around right? Golf clap again? Who plays golf anyway? Wrong again. Are you sensing a pattern yet? Open Dolphin, go to the directory where you want to increase the folder size. Hold the control key down…now roll your mouse wheel and be amazed as the folder size increases. Invest all your money in Yet Another Linux Blog stock and move to Nicaragua. Golf clap on your way to expedia.com for purchasing tickets. 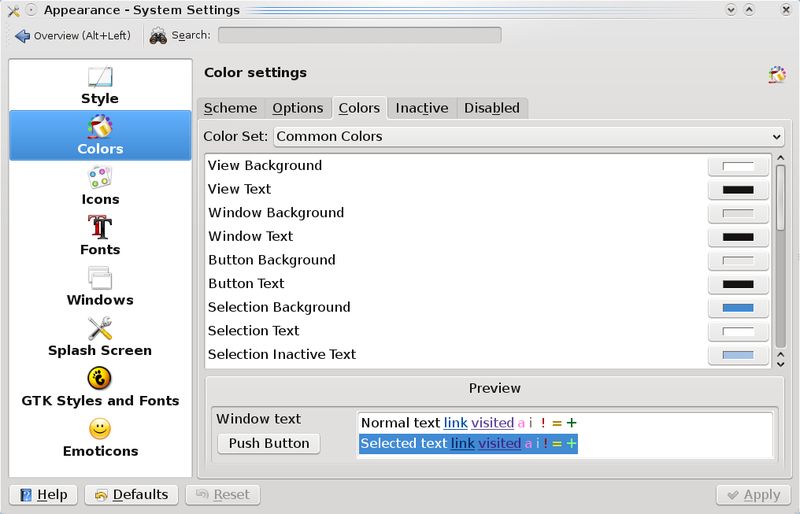 Ignorant Reason #5 – I Like to Use My Own Color Schemes…I Can’t Do That in KDE4. bar to look for any term…so if you were to type “color” there, you’d see that Appearance & Display are returned. Click on Appearance and you’re taken into a wonderful world of color and granular control of said color. 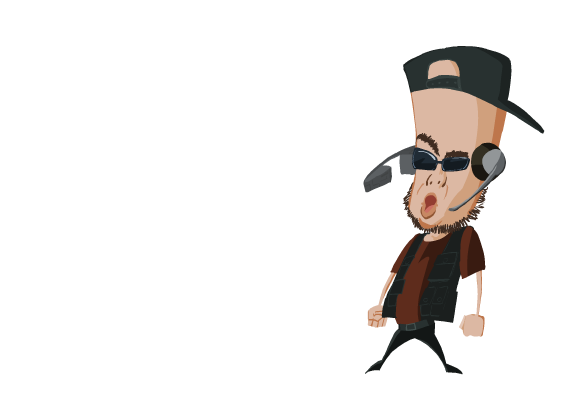 Change anything you’d like….go crazy. I hear pink is the new green…or is it green that was the new pink? Whatever. The only limits are your imagination. For those without imagination. Now there is no right or wrong here…you could be right depending on who you talk to. 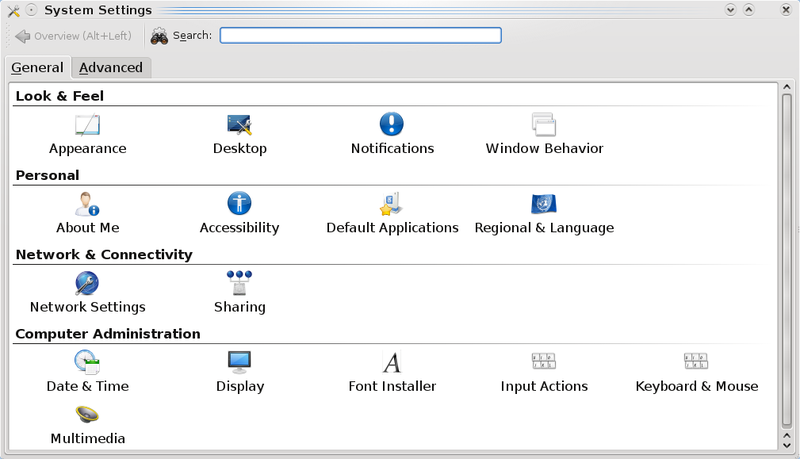 However, the nice part about KDE4 is that they include the previous menu for you. Right click the Kmenu and choose “Switch to Classic Menu Style”. Now your menu is the exact same as it would be in KDE 3.5.10. Please remember that answers are out there…you just have to search for them. Hopefully, this closes the door on many misconceptions helps people who are ignorant to the leaps and bounds that KDE4 has made just in the past few months. I’ve grown very tired of journalists and bloggers taking swipes at KDE4 and spreading misinformation about it. If you have any questions about how to do something in KDE4, please leave a comment below and let’s work together in finding a solution. First…get yourself a blog and get it running. It doesn’t matter if it is from wordpress, google, or the media company you work for…just get a blog up and running. To get maximum exposure in the past, you had to use keywords. Now is no different. The keyword we’ll focus the most on is one that can get you thousands of hits in a few minutes if submitted to the right news outlet. That keyword is Ubuntu. Add this keyword to EVERY post you make. Name your blog with Ubuntu in the title to make sure that it is vaulted up the rankings. Just remember, you must use the word Ubuntu in everything you post. For your first post, announce that you’re going to stop using Windows XP and use Ubuntu instead. Do a lousy job of documenting your installation procedure and make sure you don’t talk about anything of worth to someone who might be making the same change…just talk about how cool it is to be running Ubuntu and go over all the pluses. Don’t focus on anything negative…afterall, you don’t want any of the fanbois to come in and flame you now do you? Best to avoid confrontation…you know that someone else will fix that nasty problem you ran across during install right? Why should you report it? You’re just a blogger trying to amass hits and/or a journalist trying to become hip right? Ok, so now that you’ve announced to the world that you’re switching and you’ve blogged about installing and setting things up…you have to follow it up with a “this is the best thing since sliced bread” post. Make sure you talk about how Ubuntu has completely replaced everything you’ve ever done…talk ferverently about how it does your laundry, makes you breakfast, and changes the linen on your bed. Make sure that you make claims about how Ubuntu is THE best Linux available despite not trying another distribution of Linux or having anything other than Windows XP to compare it to. Remember, always use the word Ubuntu!! When you go to install and compile a program that can install and compile on ANY DISTRIBUTION, make sure that you title it “Installing SoftwareX on Ubuntu” so that everyone will know that you are cool and hip by using Ubuntu…plus, it’s good to confuse people into thinking that SoftwareX can only be installed on Ubuntu and no other distributions out there. Finally, always speak as though you are a complete subject matter expert on Ubuntu. Don’t worry! You won’t have to be. Countless people will flock to your aid in comments on your blog. You won’t have to defend yourself at all…even when people bring up actual problems or maybe discuss the shortcomings of Ubuntu there will be many people that will completely thwart these idiotic attempts to actually improve Ubuntu. And how dare people even think they can improve Ubuntu! They don’t work for Canonical and everyone knows that the best distros out there are from companies and people who get paid to develop for said company. Follow this how-to and you’ll be raking in the readers! Plus you’ll be considered one of the coolest and hippest bloggers/journalists around! You don’t need talent…you don’t need knowledge…you don’t even need experience…you just need to remember the magic word Say it with me now…Ubuntu! Is RSS your newspaper? Looks like it is for many people. This comic is from blaugh.com which calls itself the unofficial comic of the blogosphere. Many of them are lame but a few can bring an upturned corner of my mouth (which might be mistaken for a smile…don’t worry, it isn’t).